On the heels of inspections carried out in June, Coca Cola Beverages Vietnam Ltd. has been issued a US$19,300 fine and forced to temporarily suspend select sales for violating food safety licensing and labeling requirements. While seemingly serious in nature, the target of inspections – Samurai Energy Drink – fell afoul of regulators for a simple failure to label levels of folic acid on their beverages and to obtain licensing as a supplementary drink. Although subsequently bringing Samurai Energy into compliance, the experience of Coca Cola underscores the consequences of regulatory uncertainly in Vietnam, and the need for foreign enterprises to be aware of labeling and licensing requirements in the country. Following its accession to the WTO in 2007, the country has seen major revisions to a number of laws, including those on establishment, investment, and trade. For all companies seeking to sell products within the Socialist Republic, product-labeling laws are of critical importance to successful customs clearance and ultimate sale within the country. Maintaining a firm understanding of recent changes, which include the revision of labeling guidelines for pre-packaged food and additives, as well as pre-packaged genetically modified ingredients, will be of great importance for those seeking to tap into Vietnam’s emerging consumer class. 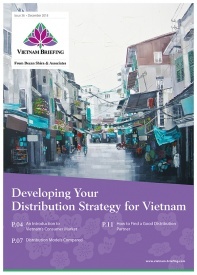 Since 2006, product labeling is stipulated in Vietnam’s Regulation on Labels and Decree No. 89/2006/NĐ-C. The decree came into effect in March 2007 and replaced the regulations circulated under the Prime Minister’s Decision 178/1999/QD-TTg of August 30, 1999, and Decision No. 95/2000/QD-TTg of August 15, 2000. Guidelines outlined in the decree demand the labeling of nationally produced goods designated for domestic usage or export, as well as of goods produced abroad and imported for consumption in the Vietnamese market. To successfully manufacture and trade in Vietnam, having an understanding of these basic product-labeling laws is of highest importance. Violating these laws might have severe consequences such as a stoppage of the sale of the improperly labeled products and penalty payments. The vast majority of consumer goods imported into Vietnam will be required to affix or contain a label with information related to the product, its contents, and its origin. 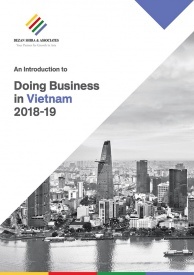 In addition to this, Vietnam also applies a Vietnamese language requirement for those seeking to import goods from jurisdictions where Vietnamese is not the lingua franca. Goods used for security, national defense or emergency purposes. Name of the goods: The name of a good stated on the label can be freely chosen by the producers, with the requirement that the name does not cause confusion about the nature or use of the good. Name and Address of Traders Responsible for the Goods: In case the goods are manufactured in Vietnam, the responsible entity is the manufacturer. Goods that will be sold domestically must be affixed with a label stating the address of the production place. 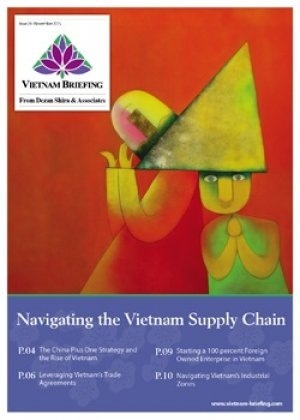 If the goods are produced outside of Vietnam, the liability is placed on the manufacturer as well as the importer. Country of Origin: Applies to goods manufactured in Vietnam which are designated for export, and goods imported into Vietnam. Under prevailing regulation, the labels on these products must include information on the country of origin, preceded by the words “Manufactured in” or “Produced in” or “Origin.” In the event that goods were produced in several countries, Vietnam will apply a rule of “substantial transformation” determine the country of origin. 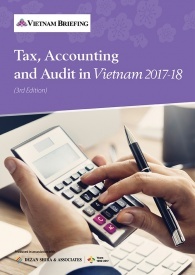 In case the goods were produced in Vietnam and are designated for local circulation, the information on country of origin does not have to be stated on the label. Moreover, depending on the nature of the product, other information such as quantity, date of manufacture, technical specifications, hygienic and safety warnings, instructions on use, guidelines on preservation, expiration date and preservation period must be stated on the label. 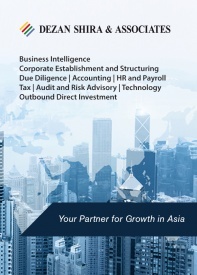 As these requirements can change quickly, it is recommended that companies clarify individual compliance requirements with government officials or legal professionals prior to entering into arrangements with Vietnamese buyers. Given the increase of compulsory information, companies might face the situation that the content does not fit on the label. 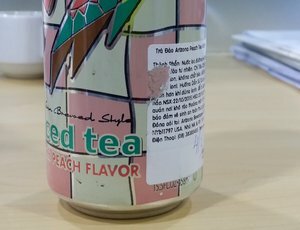 In this case, the label only needs to state the name of the goods, the name of the traders responsible for the goods, the quantity, date of manufacture, expiration date and origin. Further compulsory and non-compulsory information must then be given in a separate document together with the product. 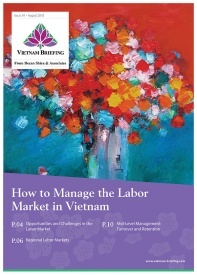 As usage of Vietnamese is largely limited to Vietnam, language requirements can present significant compliance issues for those seeking to export from or to Vietnam. 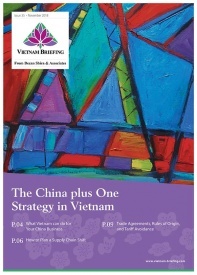 The requirements should be carefully followed by exporters from Vietnam as well as importers to the Vietnamese market. Export goods: Currently, goods designated for export can be labeled in the language of the importing country. The Decree explicitly states that in case it conflicts with a treaty to which Vietnam is a party, it is placed in secondary position, meaning that the treaty will prevail over the Decree. In case an organization or an individual is violating the laws he shall be administratively sanctioned or examined for penal liability, depending on the nature and severity of the violations. Contingent upon if damage has been caused, the violating entity will have to pay compensations therefor according to the provisions of law.